Collaboration between industry, government, academia and citizen. “Isumi city originating Boso lifestyle project” commenced. 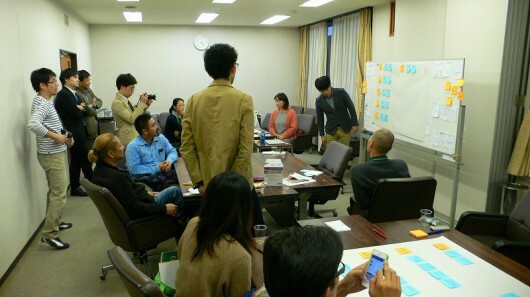 This workshop was a part of the project in which they unearth and inform the public the attractiveness of Isumi and find out issues and solutions. 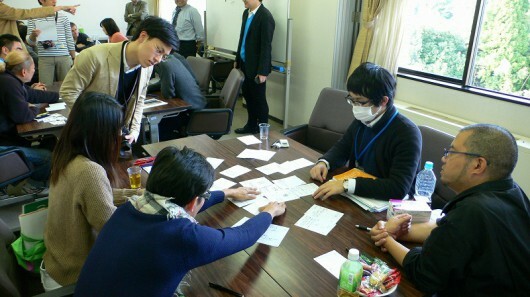 As this was a project among industry, government, academia and citizen, backgrounds of participants were varied. Staff member of Concent, Inc. acted as facilitators. 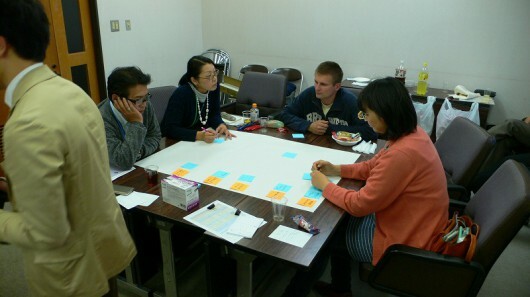 Participants were divided in 3 groups and had group work. 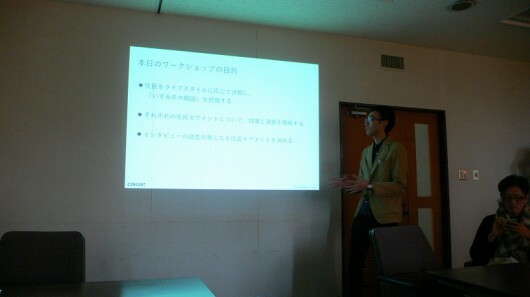 Member of Community-Reactivating Cooperator Squad, Isumi citizen, or staff of Isumi lifestyle Lab joined in each group. 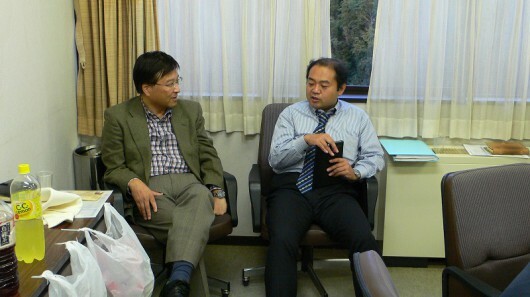 They exchanged information, discussed opinions, and considered ideas. 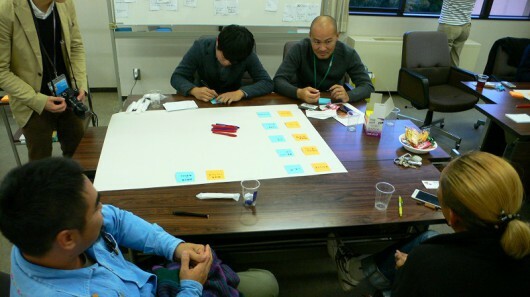 While participants were doing group work, Professor Inokuchi (left) from Department of Design Informatics as well as Director of D-LOUNGE had a pleasant talk with Mr. Hayakawa (right), Councillor of Isumi city. Participants presented results of each group work. After they shared the discussion details, they had a further work to link them to the field work, and the task was finished for the day. 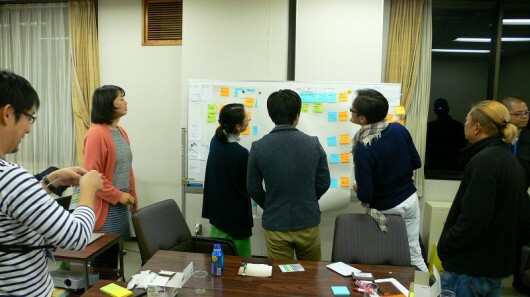 Starting with this workshop, they will have interviews with citizen and further workshops, and the final result presentation will be held in March in D-LOUNGE at Akasaka, Tokyo. As collaboration projects with universities, we have accepted some students for field work in the past. This time however, we support the previous step, in some ways, support development of teaching material or development of basic research. It is the first experience for us Isumi lifestyle Laboratories and we are excited. ChimachiMa was held this month again on the beautiful sunny day (December 12, 2014). More stall shops were opened on the day and the market was lively. Flea market was held outside this time. 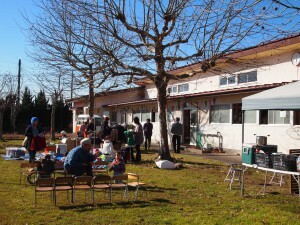 When it is warm, it may be a good idea to open flea market outside! They cooked “Osechi Ryori,” traditional New Year dishes, for the coming New Year. 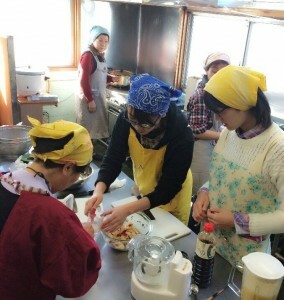 It was impressive that participants enjoy cooking although it was their first time to join the event. 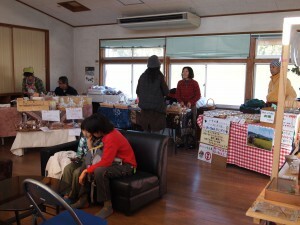 Also “Isumin” came to the market! Many children took photos with Isumin. but it was very warm on the day. So that many people from family with small children to adults who visited Chimachi for voting for election stopped at the market. It seems that more children are coming to this market every month. I’m happy to hear their merry voice like in a park. It would be great if this market could be a place for people to gather and spend time slowly. In the next ChimachiMa in January, a Special New Year Event will be taken place! We will do Mochi-tsuki (pounding mochi), etc. On the last weekend of summer vacation this year, we are having charity summer concert called “Vocal festival Misaki” at Misaki Fureai Hall. Blue sky and sunflowers make this flyer looks pretty nice. Its also nice that flyer says “this is real in this summer”. There various artists are coming over for this concert, Mari Midorikawa is popular soprano singer who plays in Japan, also other countries. Her powerful voice and live band will amaze you for sure. 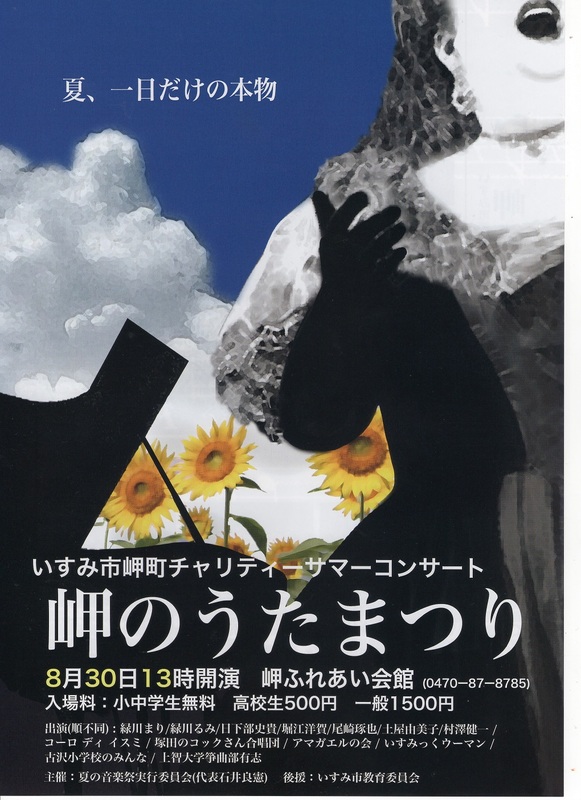 This is a good chance to listen to opera songs concert in Isumi town. It will be one of good memories in this summer!